Raelian Jews Organization would like to draw your attention to a situation concerning the survival of the Jewish people in Israel. 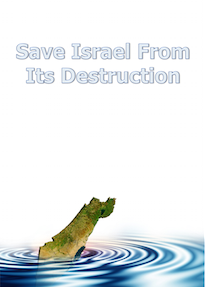 It is because of this state of emergency that we invite you to read the information contained in the file Save Israel from Destruction, recapitulating the original reason for the creation of the State of Israel, the protection which is has enjoyed and the reasons why this protection has now been cancelled. 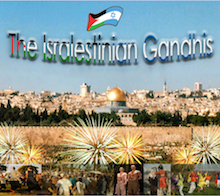 Indeed on the 6th august 2015, through the mouth of His Son the Mashiah Rael, YAHWH announced that henceforth He has withdrawn the protection that He had granted to Israel, because of their betrayal of the exemplary values of Judaism, especially by not respecting what is in His eyes is the most important commandment: “Thou shall not kill”. Instead of applying this commandment as dictated, Israel has been accumulating sufficient nuclear weapons so as to be able to kill millions and trigger a nuclear war capable of destroying all of creation. 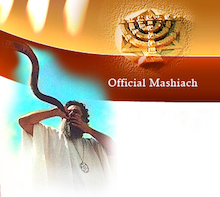 Previously on the 12th April 2009, on the 4th day of Passover 5769, Rael, the founder and spiritual leader of the International Raelian Movement had received the ultimate message for the Jewish People. On that day of Passover 5769, special day of the Birchat HaChama, commemorating the creation of life on Earth, another few years were given during which to accelerate the process of establishing a true peace through a spiritual and religious Zionism, so as to welcome both Jews and Palestinians to a multiracial and multicultural state, with the end-goal of building the Third Temple. Instead of that, there has been nothing but violence, hatred and suffering directed at the Palestinian People, and the Message of the Mashiah Rael, the Last Prophet, and our request for the Embassy have been treated with contempt. Today, we are offering the Jewish People a last chance to seize the opportunity to honour the will of Our Creators the Elohim, through the Mashiah, as announced in the Writings, by taking the path of peace, since the end of the protection will lead to the destruction of Israel.